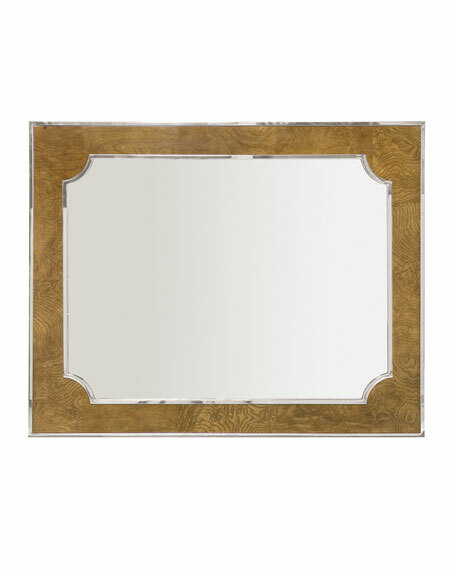 Mirror has inset white-ash burl veneer faced frame. Inner and outer metal frame made of polished stainless steel. 45"W x 1.5"D x 36"T.
Hangs vertically or horizontally; due to weight, must hang on stud. Weight, 57 lbs. Boxed weight, approximately 59 lbs.